This week features Toy Defense, SHADOWGUN, Apps World, Predators, Humble Bumble 4, illo, Songza, Pocket, iLuv, Thumbstar Games, and more. [dropcap1 variation=”red”]M[/dropcap1]elesta Games is just about ready to deliver its Android version of Toy Defense. If you’d like to see what happens when you mix tower defense games with Toy Story, then you will want to keep an eye open for this one. Set to arrive in mid-November, Toy Defense for Android will launch with 24 levels . [dropcap1 variation=”orange”]I[/dropcap1]t might be eighteen months late, but Fox has officially released a Predators game based on the summer 2011 movie. The game is actually designed by Angry Mob, the team behind Guerrilla Bob and Muffin Knight so you know it’s probably worth the money. [dropcap1 variation=”yellow”]T[/dropcap1]he fourth edition of the popular Humble Bumble series is out and features six mobile and desktop titles: Crayon Physics Deluxe, Eufloria, Splice, Superbrothers: Sword & Sworcery EP, Waking Mars, and Machinarium! If you have not downloaded one of these packages then you’re just being silly. You get to pick the price, you know. Customers can optionally allocate part of their purchase to the Electronic Frontier Foundation (Internet freedom non-profit) and the Child’s Play Charity (providing technology & games for kids in hospitals). So far, the generous contributions of bundle buyers has added up to more than $7,550,000 for charity! [dropcap1 variation=”olive”]I[/dropcap1]llo – birth of the cool is an action puzzle adventure designed for Apple iOS and Android handhelds/tablets and now PC. Players can touch, feel, move and throw illo across luxurious dream-scape environments, avoiding dangerous obstacles and some very bizarre creatures indeed. illo – birth of the cool promises to be a game unlike any other. With its Kickstarter funding campaign entering its second week, work has already begun on the game itself. [dropcap1 variation=”teal”]S[/dropcap1]HADOWGUN fans anxiously awaiting the upcoming addition of multiplayer action to the franchise will be excited to know that MADFINGER Games announced today that SHADOWGUN: DEADZONE will be released on November 15. SHADOWGUN: DEADZONE allows gamers to experience intense tactical multiplayer combat with up to 12 players connected online. The multiplayer sequel to SHADOWGUN promises a great variety of game content by allowing players to experience heroic battles in two popular game modes – Deathmatch and Zone Control – where players are divided into opposing groups of mutants and bounty hunters. [dropcap1 variation=”blue”]O[/dropcap1]ne of our favorite ways to discover new music and listen to curated playlists, Songza, has recently been updated. If you’re running Android 4.1 or later on your device then you’ll see some new and noteworthy improvements. Improved audio playback experience: It’s now faster than ever to start playlists (decreased buffering times) and song skipping is quicker and more fluid as well. Expanded notifications: Featuring the latest in Android interface design, the expanded notifications show you larger album artwork and give you the ability to thumbs up a song you’re listing to directly from the notifications panel. Easier than ever to share with friends: The app now features a dedicated icon for the way in which you most commonly share your listening experience on Songza. Performance fixes and optimizations: Playback and skipping won’t overtask the app, song information displays immediately (even if a song is still buffering), faster menu transitions and an overall more fluid experience. 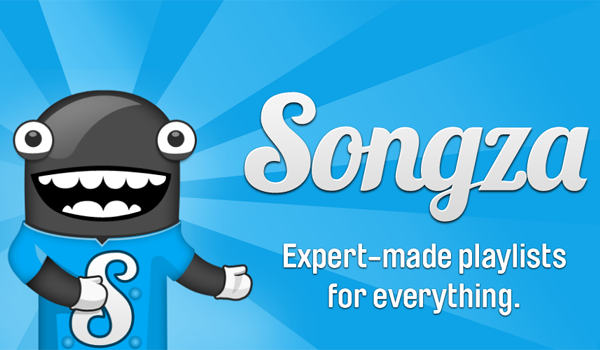 Deep-linking: This allows users to click a link to a playlist from Facebook and have the playlist open directly in the Songza app. This will work from a text message or most other applications on an Android device. [dropcap1 variation=”deepblue”]T[/dropcap1]he team over at Pocket are making it even easier for developers to integrate sharing with the release of a new API. Now, instead of asking the user to share something to Pocket, developers can code it directly into their titles. If you haven’t checked out Pocket for your Android phone or tablet then you’re missing out one of the best apps around. [dropcap1 variation=”purple”]A[/dropcap1]ccessory manufacturer iLuv has released a number of new items for the Samsung Galaxy Note II. If you’re one of those lucky folks who just grabbed the massive phone over the last few weeks then you’re advised to check out the Pocket Agent Pro (convertible protective leather case) Pocket View (synthetic leather case) or Gelato Shield (case features a clear front cover). [dropcap1 variation=”hotpink”]I[/dropcap1]n a public setting and don’t feel like letting the whole room see your emails or photos? Rather than throwing on a (semi) permanent PIN code or unlock pattern, try a Temporary Lock . Activate it with a handy widget and it’s all set. Unlock it and you’re good to go again. The lock does not come back unless you initiate it. [dropcap1 variation=”slategrey”]T[/dropcap1]humbstar Games is gearing up to release its next title, Gem Smashers, on Android. You’ll be in charge of three creatures: BAU, BAM & BOM, and you’ve got to smash walls of bricks to rescue friends. This one is expected to launch with more than 160 levels, split across five different game modes, and the option of multiplayer. [dropcap1 variation=”mauve”]T[/dropcap1]end to forget a lot of stuff that you really shouldn’t? Do birthdays, passwords, tasks, PIN numbers, garage codes, or account numbers escape your busy brain? You might wanna check out Password Genie Data Protection. 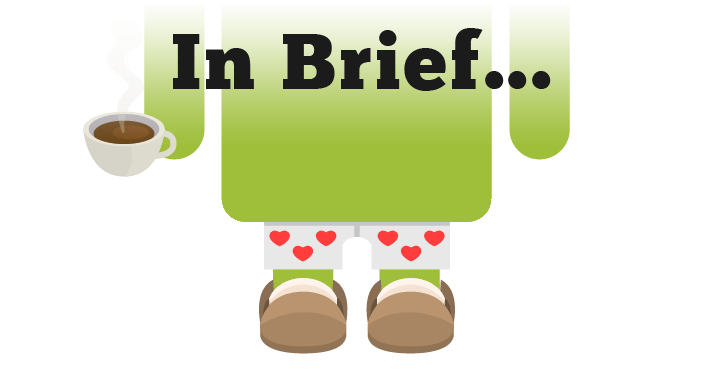 The free Android app keeps track of all of that important stuff and much more.